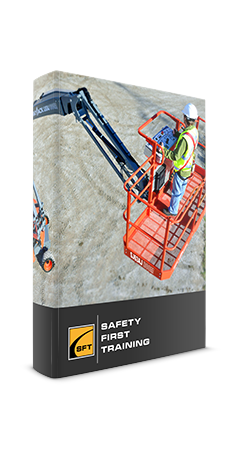 This Aerial Platform online course instructs how to reduce the risks associated with straight telescoping, articulating and scissor lift aerial platforms by teaching industry based safe operating procedures. This course complies with both CSA standards B354.2 and B354.4 as well as ANSI standards A92.5 and A92.6. for theory training. Upon successful completion of this Aerial Platform online course, a certificate of completion will be available to download and print. Testing conducted for the Aerial Platform online course is designed to reinforce the information presented. A mark of 80% must be achieved to receive a certificate of completion. Participants are able to repeat the course two additional times if the 80% pass mark is not achieved on the first attempt. Upon successful completion of this Aerial Platform online course, a certificate of completion will be available to download and print. 1. Receive professional training (theory and practical) on the exact piece of equipment you will be operating. Read the operator’s manual and safety signs on the machine and have a complete understanding of all safety devices and controls before operating the machine. 2. 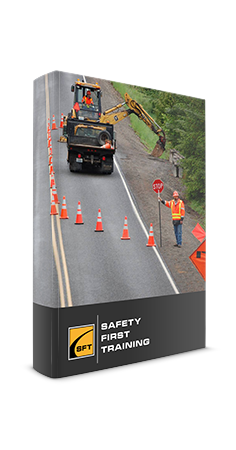 Read, understand and follow your employer’s safety and worksite rules and regulations, along with all applicable provincial regulations that apply before operating the machine. 3. Always perform a pre-operation inspection and function tests on the equipment before each use. If any machine fails an inspection, you must ensure it is immediately tagged and removed from service until repairs can be made by a qualified technician. 4. 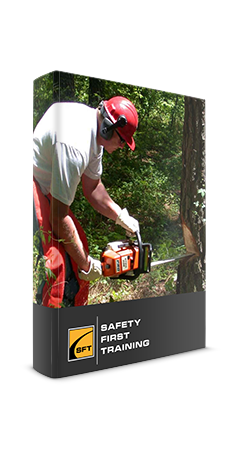 Conduct a hazard assessment prior to engaging the machine. Be alert for any hazards like drop offs, holes, slopes, slippery or uneven surfaces, overhead obstacles, power lines or any other visible hazards. 5. Always wear certified fall protection equipment and be connected to the designated anchor points. Body harnesses and lanyards or self-retracting lifeline will reduce the chance of an operator being thrown from the platform of a boom. 6. Platforms must only be raised on a solid level. If the level alarm sounds, the machine needs to be repositioned to a more level surface. If the level alarm sounds while you are already elevated immediately lower the platform and move the machine to a more level surface. 7. Always refer to the manufacturer safety recommendations and operator manual for confirmation of minimum safety height clearance information. 8. Never stand or sit on the guardrails of the platform. You must have a firm footing on the platform floor at all times. If you are required to reach an overhead area that is just out of reach for the platform, determine if the selected aerial work platform is the right one for the job. Never take a chance. 9. Never exit an elevated boom or aerial lift platform unless you have been properly trained, be tied off at all times and be in possession of an approval letter from the manufacturer that provides the proper instruction. 10. Never climb down from a raised platform. If possible, have a mobile phone or two way radio with you while in the platform and always have a rescue plan in place.